During January KROKODIL’s residency for writers will host contemporary Ukrainian author Andriy Lyubka. He is also 78th guest who stays in KROKODIL’s residence, and is the first author who comes from Ukraine. On Wednesday, January 23, at 7 PM, Ana Pejović from the KROKODIL Association will talk with Andriy about his work and also about contemporary Ukrainian literature. The conversation will be followed by the author’s reading. 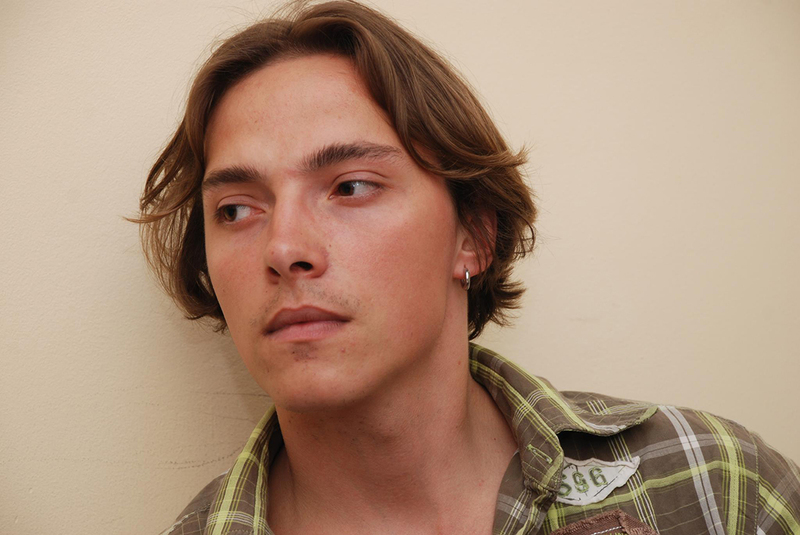 Andriy Lyubka (1987) – Ukrainian poet, writer and essayist. He graduated from Mukachevo Military School, Ukrainian philology at Uzhgorod University and Balkan studies at the University of Warsaw. The author of the books of poetry: “Eight Months of Schizophrenia” (Uzhgorod, 2007), “The Terrorism” (Lviv, 2009), «40 Dollars Plus the Tips» (Lviv, 2012); collection of short stories: “The Killer” (Lviv, 2012), collection of poems in German translation «Notaufname» (Austria, Innsbruck, 2012), book of essays “Sleeping with Women” (2014), novel “Karbid” (2015, short-listed to top-5 books of the year by BBC Ukraine; Polish translation was short-listed to the Central-European award Angelus in 2017), collection of short stories “The Room for Sadness” (2016), book of essays «Saudade» (2017) and novel “Your Gaze, Cio-Cio-san” (2018). The winner of the prizes “Debut” (2007), “Kyiv Laurels” (2011), recently he received literary award of Kovalev Foundation (USA) and became a laureate of Shevelov Prize for the best book of essays of 2017 in Ukraine. He is also the translator from Polish, Croatian, Serbian, English and the curator of two international poetry festivals. Andriy Lyubka’s stay in Belgrade is organized as part of KROKODIL’s ongoing project READING THE BALKANS which is co-financed by the Creative Europe Program and the Ministry of Culture and Information of the Republic of Serbia. Reading the Balkans is a project aimed at promoting literature from the Western Balkans through education and establishment of a literary agent who will represent regional writers on the international scene.